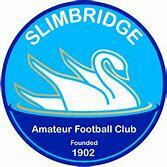 On Tuesday 6th November, we welcome Slimbridge to the infilLED Arena in round two of the Southern League Challenge Cup competition with a 7.30pm KO. Chris Allen returns to MTFC  He's back! !